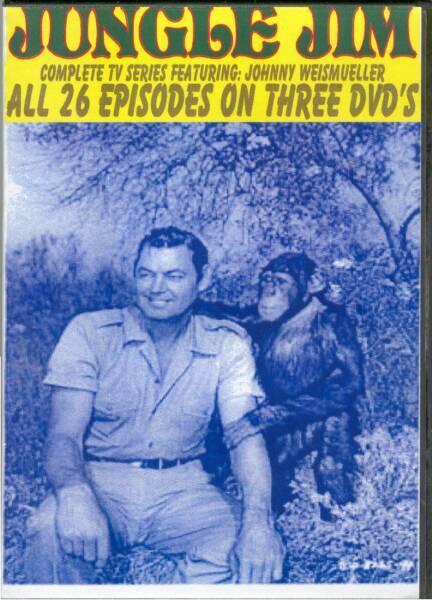 This is the complete Jungle Jim Tv series on 3 DVD discs. All 26 episodes in broadcast order. The series aired for one season in 1955 to 1956. Johnny Weismuller starred as the jungle guide and explorer recreating his movie role. Martin Huston played as Skipper his son and Norman Frederic was Kassim his aide. Tamba the chimp starred as himself. This is only available in DVD !